Home > Educational Materials > Physics Educational Materials > Mechanics Learning Activities > Plastic Pulley Single, 50 mm Dia. Plastic Pulley Single, 50 mm Dia. Economical pulley for simple machine experiments. 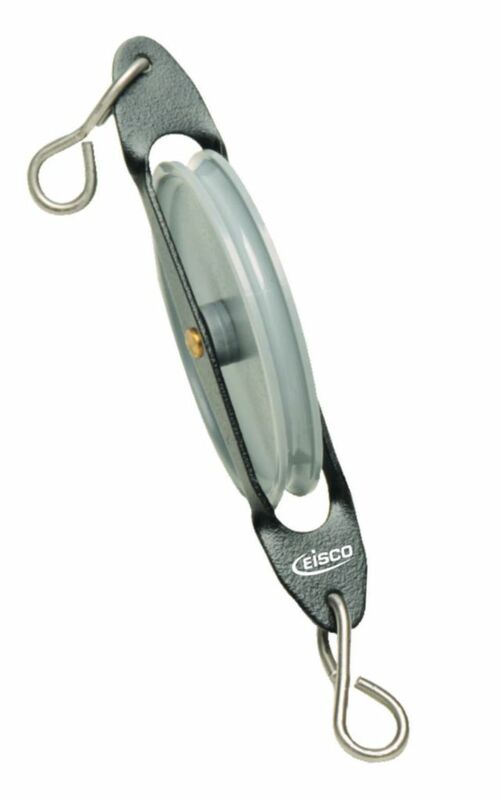 A high quality, single wheeled plastic pulley, on a steel frame, with hooks at each end and one plastic pulley with a diameter of 50 mm. Inner gap of pulley measures 4 mm, overall length is 8.9 cm. Capable of holding over 30 lbs of weight.